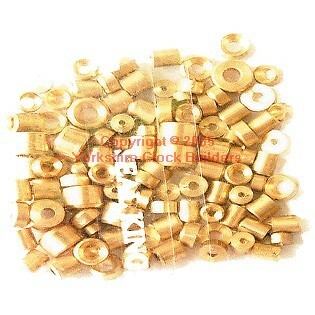 100 Brass pivot bushes assorted for wall & mantle clocks. 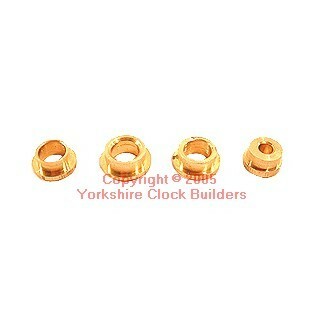 Ratchet clicks for clocks, small & medium with rivets. 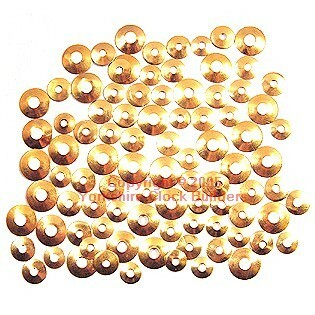 Assortment of 50 pcs. 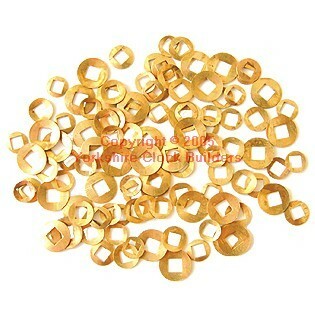 100 Assorted brass square holed washers for wall & mantle clocks. 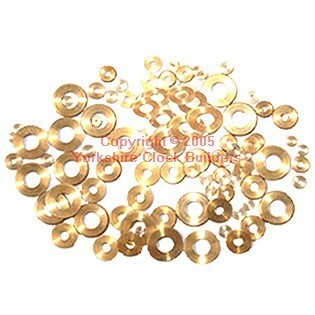 100 Assorted brass round holed washers for wall & mantle clocks. 100 Assorted Steel Clock Washers.